Blizzard takes to the consoles once again with Diablo 3: Reaper of Souls Ultimate Evil Edition, and it's the company's best outside of the PCs so far. We take a look at what makes it so special. 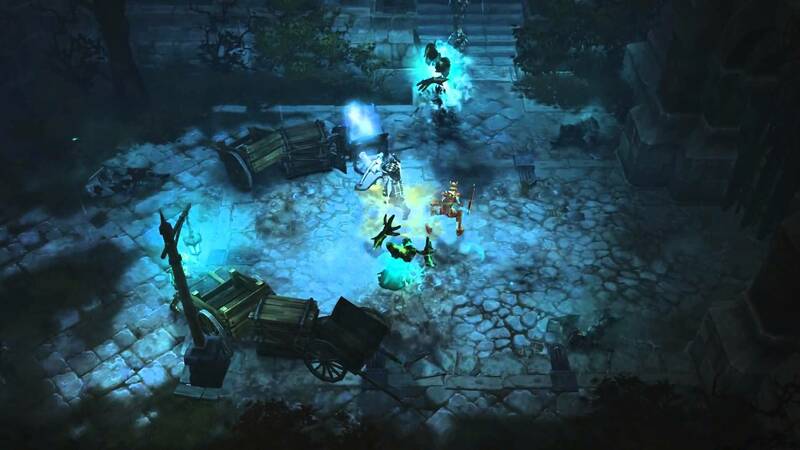 Following the release of the excellent port of Diablo 3 last year, Blizzard proved that the game could work outside of the PC world. But could there be more done with it? 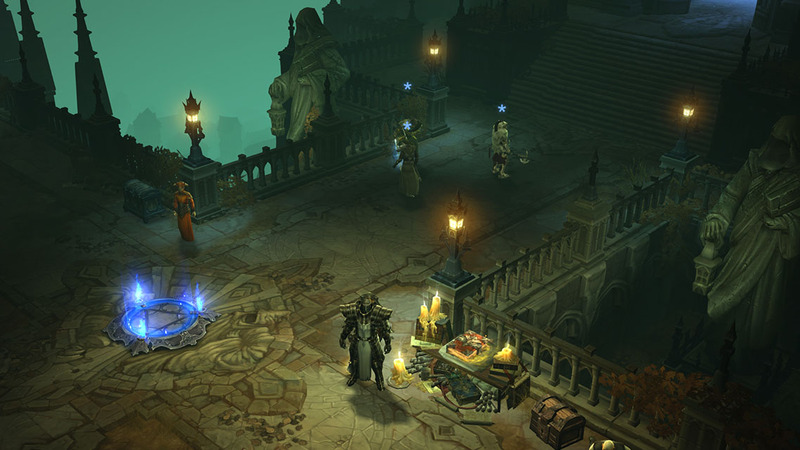 Enter Diablo 3: Reaper of Souls Ultimate Evil Edition. This edition not only includes every quest from the original game, but also the introduction of a new class, the Crusader (bringing the total to six) and hours of new content that will keep even the highest-class warrior coming back for more. Like the previous Diablo games, Reaper of Souls complies heavily on the "defeat the enemies and grab the loot" loop, as you'll want to use this to level up your character, earn new abilities by unlocking runes, and picking up additional weaponry that can make all the difference in mowing down ghosts, skeletons and other enemies that appear over the course of each mission. Some may find it repetitive, especially using a controller in favor of the tried-and-true mouse and keyboard, but in truth, there's something truly involving about the whole experience that makes you want to come back. Perhaps it's the level of experimentation. After all, there are six classes available here, in both male and female form, to mess around with, and each one brings something remarkable to the table, whether by outrageous spellcasting, distance shooting, or all-out brawler skills. It actually helps to get the hang of each class just to see what's offered overall, especially when you're trying to figure out what position to play in a good co-op multiplayer get-together. Ah, multiplayer. This is truly one of the finer aspects working in Reaper of Souls' favor. The game supports up to four players either online or locally, making for quite the good loot run no matter where your friends are. The multiplayer sessions we took part in not only provided ample rewards, but also an experience that is at times chaotic, but always satisfying, especially when you lay the smack down on a large, overbearing brute. The experience is much deeper than that, though. Along with customization options and the ability to try different techniques with your character through the rune system, you can also partake in other activities that help level the playing field. Apprentice Mode allows inexperienced players to join their friends on the same fighting stage, without having to worry if their skills are up to par, as they're bumped up immediately for that particular play session. The Adventure Mode is also worthwhile, in case you feel like an endless run of pillaging evil souls and cleaning up on the cash. The Nemesis System is also tremendously cool, as friends will try to avenge you should you be unable to defeat an enemy, and vice versa. The rewards you'll reap from completing the task make it well worth tackling, rather than a cheap add-on gimmick. Finally, the gift giving system enables you to pick up even more goods within the game, as you can reward (and be rewarded) with random gifts through sessions you play with either friends or online players. This encourages jumping into multiplayer get-togethers more than most games, on top of the already bountiful fights that await you within the game. Solo play is good as well, but it's best left for those times that your friends aren't immediately available. This is definitely one you'll want a devoted battle group for. The gameplay is well-balanced across all classes, thus introducing the key aspect of experimentation. You may think a brute class is the be-all-end-all one to approach for the game, but hang on. The Wizard and Witch Doctor are great in their own right, and the Demon Hunter is excellent for distant attacks. And provided you'll get surrounded quite often, it never hurts to have a key player out in the field. The controls on a gamepad are just as adequate as with a mouse and keyboard, even without the "dead on" accuracy. Only the true die-hard PC nuts will have anything to complain about, and even they may be too busy bashing in skulls to care. Presentation-wise, Diablo 3 is truly a gem. Every aspect of the game's PC design is intact, with a solid frame rate (not 60 frames per second, but not necessarily needed), plenty of action happening on the screen at once, and vivid little animations and lighting effects. The only negative is that sometimes you can't see your way out of a map until you've already walked into a trap, but, hey, that's just part of the fun. Diablo 3: Reaper of Souls Ultimate Evil Edition is a near-flawless representation of a game that can survive on either medium, complete with its robust leveling system, excellent multiplayer gameplay and solid presentation. It takes everything that made last year's game work so well and expands it to the point that the experience can't really get much better than this. More DLC or another expansion is likely to come into the picture at some point, but I don't mind. It's all the more reason to call upon my battle party to clean house once more. This impression is based on a copy provided by the publisher. Diablo 3: Reaper of Souls Ultimate Evil Edition is available now for Xbox One and PlayStation 4 for $59.99, and PlayStation 3 and Xbox 360 for $39.99. The game has been rated M for mature. Robert Workman posted a new article, Diablo 3: Reaper of Souls UEE is Blizzard's best console port yet. I remember watching my friend's brother trying to play StarCraft 64. That's all I'm going to say because what resulted was incredibly hilarious and sad. How many console ports has Blizzard done? Why would you exclude those? Great game, although based on how mush PS4 branding i saw i was surprised it was out on XB1 to.